In this part, we will be examining exactly what Advanced Playmakers on the wing are and how they operate. We will also be taking a look at real life examples of such players. 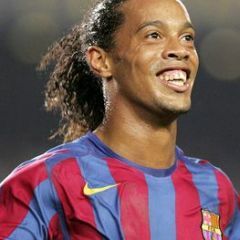 Advanced Playmakers are players who use their superior creativity, technique and dribbling prowess to unlock opposition defences and create chances for both their teammates and themselves. They play in between the opposition’s midfield and defence which allows them to attack the heart of the opponent. Although they often drift wide, Advanced Playmakers normally spend most of their time in a central position running at Centre Backs. A good example of this conventional type of Advanced Playmaker would be Mesut Ozil of Real Madrid. What happens when an Advanced Playmaker is Deployed on the Wing? 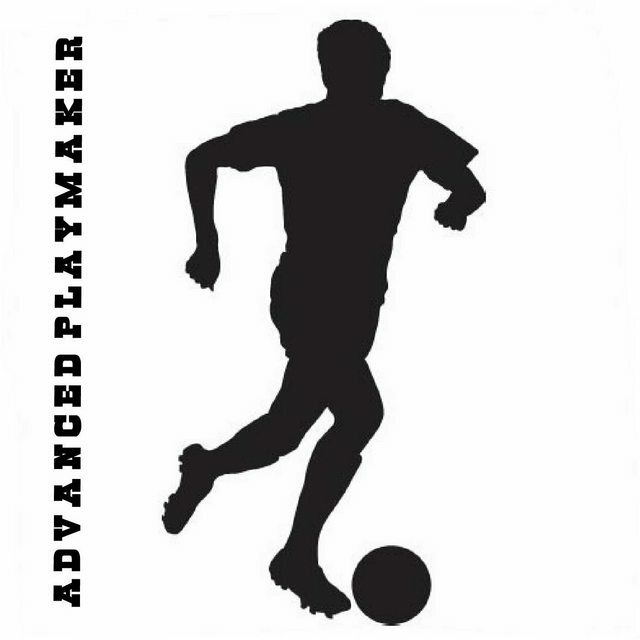 When an Advanced Playmaker is deployed on the wing, they no longer play solely as conventional Advanced Playmakers. 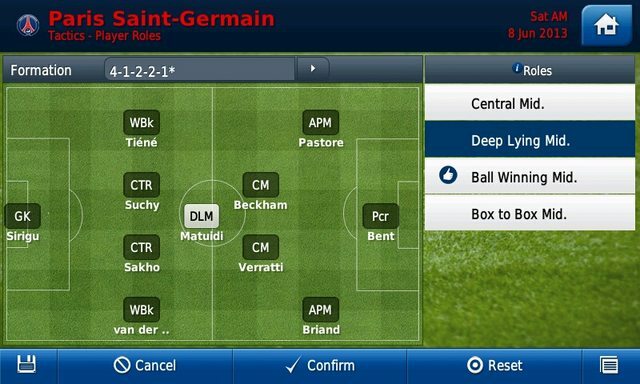 Instead, they become a mixture of Inside Forward, Winger and conventional Advanced Playmaker. The major difference between the conventional and unorthodox roles comes with what Advanced Playmakers love to do, take on players. While the conventional Advanced Playmaker takes on Centre Backs in an attempt to create space for his teammates or to have a crack on goal, the Advanced Playmaker on the wing takes on Full Backs in order to link up with teammates through the centre, take a shot, play a clever pass or in some cases deliver crosses. Good examples of these unorthodox Advanced Playmakers would be Shinji Kagawa of Manchester United and Eden Hazard of Chelsea and Jakub Blaszczykowski of Borussia Dortmund. As I’ve already mentioned, Advanced Playmakers on the wing incorporate many different facets of other attacking roles and as such there is a certain amount of overlap between unorthodox Advanced Playmakers, Inside Forwards and Wingers. However, there are a few tell-tale signs to identify an Advanced Playmaker on the wing. To be considered an Advanced Playmaker on the wing, one should satisfy at least three of these conditions. Unorthodox Advanced Playmakers average between 1-2 shots a game. Inside Forwards often average more than this and Wingers less. Unorthodox Advanced Playmakers average roughly a 1:1 goals to assists ratio. Inside Forwards score more than assist and Wingers assist more than score. Unorthodox Advanced Playmakers have a Pass Success Percentage above 80% while Inside Forwards have a lower value. Unorthodox Advanced Playmakers play at least 40 passes per game. Inside Forwards and Wingers both have lower values. I have picked these statistics, in detail, because they demonstrate the differences between the three roles. These differences come from the way Inside Forwards, unorthodox Advanced Playmakers and Wingers operate. Inside Forwards always look to shoot after beating the full back. Only when this is not possible will they try to link up with teammates or play a through pass. This leads to fewer passes per game and a lower pass percentage on a whole as well as a greater number of shots per game and a greater goals to assists ratio. On the other hand, Wingers always look to cross after beating the full back. Only when this is not possible do they choose to pass backwards or take a shot on goal. This once again leads to fewer passes per game, a lower pass percentage, fewer shots per game and a lower goals to assists ratio. The unorthodox Advanced Playmaker however always looks to play in a teammate after beating the full back. However, since this is not very easy to do, most of the time the unorthodox Advanced Playmaker will have to settle for a shot on goal or a quick passing play with another player to free up space for himself or another teammate. This leads to a more balanced shots per game ratio and a more balanced goals to assists ratio. However, it also entails a higher pass success percentage and a greater number of passes per game. Once again we see Shinji Kagawa as a mix of both Inside Forward and Winger. These statistical comparisons not only yield a criteria for establishing whether or not a player is indeed an Unorthodox Advanced Playmaker, but they also prove that this role has been pivotal to the success of certain teams. In conclusion, not only is the Advanced Playmaker on the wing a legitimate role but it has been used extensively in real life with good results. From the above discussions, we have been able to understand how this role works and how unorthodox Advanced Playmakers operate. Using this new found information I will show how the unorthodox Advanced Playmaker can be used on FMH in Part 2 of this guide. Part 2 will specifically focus on how, and why one would use an Advanced Playmaker on the wing on FMH and how to maximise their efficiency and results. Wow, great guide MM. Very in depth, and lovely mix of facts, figures and personal experience. Amazing work. Good piece of work you have here, congratulations. I don't have a lot of time to analyse it properly but I will in due time. One suggestion though: align the main body of text to the left. Amazing guide MM, maybe put crosses in there too though and also instead of having 24 to 10 goals per assists make it a common dominator - I would say X amount of goals per assists just to make the statistical breakdown a little easier to analyse. Really looking forward to the 2nd part . Fantastic article MM, can't wait for Part 2! Though can I point out that Özil was deployed on the right wing quite often nearing the end of last season? Don't ask me why but Mourinho kept doing it. No mention of Iniesta (unacceptable, given your time with Barca ). Sorry this is taking so long lads. I'll have it up in another week though On another note, I need a few kind souls to help me with testing out a few things for the next part. If anyone has spare time and would be interested in helping please PM me The more help I get, the faster I can get this done!!! I'm a big fan of using AM's on the wing. I used them in the season I posted on the maxin out challenge. Firstly I’d like to thank Goonie and Ashez, both of whom have helped me with testing some of the tactics mentioned later on in the guide. Without the help of either, the second part of this guide would have taken much longer to complete. 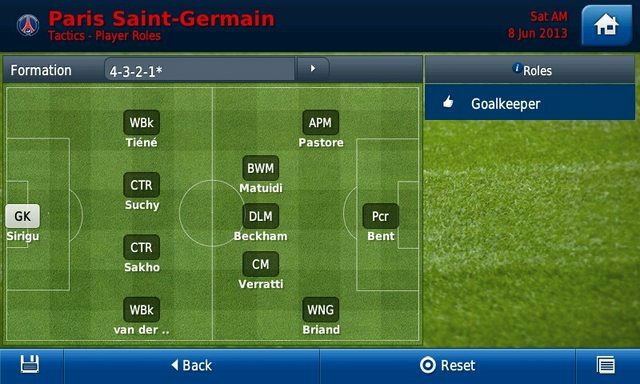 In this part, we will examine how to maximize the performance of Advanced Playmakers on the Wing in FMH. We will also analyse performance data based on various tests. Thinking about what this condition entails is the first step to understanding and eventually cracking it. Essentially what it implies is that the unorthodox Advanced Playmaker needs another player on the pitch whose job it would be to constantly feed him with passes. Browsing through midfield player roles we see that Box-to-Box Midfielders and Ball Winning Midfielders both do not satisfy this criteria whatsoever. Similarly, Deep-Lying Midfielders do not either, given their inclination to spread the play all over the pitch. 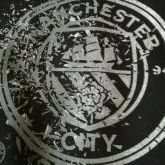 Therefore, the only remaining option are Central Midfielders. I personally think of Central Midfielders as “dummies”. In my mind, they do not do much to influence the outcome of the game. Instead they play a very simple game; essentially receiving the ball and moving it on. Conclusively, to satisfy this condition, we must place a Central Midfielder in close proximity to the unorthodox Advanced Playmaker. This point merely states that the unorthodox Advanced Playmaker should have at least one player in close proximity to him that will be constantly making runs in order to receive through passes from him. As above, Ball Winning Midfielders, Deep-Lying Midfielders and Central Midfielders do not satisfy this criteria. However Box-to-Box Midfielders do. This is because Box-to-Box Midfielders are always on the move going from box to box in an attempt to support both attack and defence. Similarly, Advanced Forwards and Poachers also fit the billing as both roles involve making defence-splitting runs in an effort to get through on goal. Other forward roles such as Deep-Lying Forwards, Target Men, Trequartistas and Defensive Forwards are all much too conservative to work, whilst Complete Forwards are too diverse to work. Conclusively, in order to satisfy this condition, one must place either a Box-to-Box Midfielder, a Poacher or an Advanced Forward in close proximity to the unorthodox Advanced Playmaker. This one is relatively easy to both understand and execute. Simply put, there shouldn’t be a “fixed player” to the right/left of an unorthodox Advanced Playmaker. Essentially, what this means is that there should not be another player hanging around next to the unorthodox Advanced Playmaker who is liable to get in his way. While this criteria is satisfied by simply leaving the “AMC” spot empty, it can also be satisfied by other means. For example if one chose to play a Box-to-Box midfielder in the “AMC” spot then, in theory, it should be fine as the Box-to-Box Midfielder is not a “fixed player”. Instead the Box-to-Box Midfielder is constantly on the move up and down the pitch and such as should not interfere with the play of the unorthodox Advanced Playmaker. This is also the reason why Deep-Lying Forwards and Trequartistas should not be present in the tactic as those roles tend to occupy the “AMC” position during the passage of play. These are the stats one should look for when selecting an unorthodox Advanced Playmaker. They were selected and ranked based on what an unorthodox Advanced Playmaker does in the game. Dribbling, creativity, passing and decisions are considered “very important” because that is what an Advanced Playmaker on the wing does most. He needs to be able to dribble past the opposing full back, before using his creativity, passing and decision making ability to pick out a teammate on the run. Because he only takes a shot, instead of passing, on occasion, both shooting and teamwork are only considered “important”. While crossing does occur, it does not happen very often which explains why it is only considered “mildly important” As an example, a world class team would look for unorthodox Advanced Playmakers with 15+ “very important” stats, 13+ “important stats” and 10+ “mildly important” stats. In this section we will go through results from various test saves. Some of the tactics used satisfy the conditions above and some do not. This is to highlight the contrast between the two factions. In total, the trio contributed 26 goals and 81 assists. Quite an astounding performance. Both Ozil and Di Maria contributed to one goal a game on average. In total, the trio contributed 34 goals and 90 assists. Even better than the previous test. This tactic clearly satisfies the conditions highlighted above. The unorthodox Advanced Playmakers each have a Central Midfielder to feed them passes, there is a Poacher to provide an outlet and the Box-to-Box Midfielder in the “AMC” spot will not hinder the unorthodox Advanced Playmakers. Average Ratings are not available for this particular tactic. In total the duo contributed 18 goals and 38 assists. A decent performance but nothing close to the first tactic tested. Either there is something flawed in the logic or this was merely a one-off. The duo contributed a total of 31 goals and 71 assists. Both players were directly responsible for more than one goal per game. Quite a remarkable performance to be honest. Either the first test was indeed a one-off or Portugal is an incredibly easy league to score in. Either way, further testing for this tactic may be required. This tactic clearly satisfies the conditions highlighted above as well. The sole unorthodox Advanced Playmaker has a Central Midfielder to feed him passes, there is a Poacher to provide an outlet and the “AMC” spot is vacant. In total, a terrific performance. He was directly responsible for more than one goal a game on average. Quite remarkable. A decent performance with Kagawa notching 15 goals and 21 assists in total. However, it was not as good as the first test. Ashez has asked me to keep the details of this tactic on the downlow for the moment but I can tell you that this tactic DOES NOT satisfy the above criteria. It is here to provide contrast with the tactics that do satisfy the criteria. In this tactic there is only one unorthodox Advanced Playmaker. This tactic clearly DOES NOT satisfy the conditions highlighted above. While there is a Poacher to provide an outlet and the “AMC” spot is vacant, the sole unorthodox Advanced Playmaker does not have a Central Midfielder to feed him passes. Instead the Ball Winning Midfielder next to him may only serve to hinder the unorthodox Advanced Playmaker even more. Similar to Ashez’ tactic this one also does not serve to maximize the potential of the unorthodox Advanced Playmaker. In conclusion, the criterion established above to maximize the performance of the unorthodox Advanced Playmaker not only work, but work well. As supported by the test saves conducted, one often blindly wastes the “awesome power” of the Advanced Playmaker on the wing without even knowing how good they can be. The clear distinction in quality between the “criteria-met” tests and the “criteria-not met” saves represents this waste and reveals just how powerful the Advanced Playmaker on the wing can be. Upon the completed reading of this guide one should have all the necessary elements to Maximize the performance of the Advanced Playmaker on the wing. On my career with Bennett and Girolamo I used Raheem Sterling on the right as a winger and James Rodriguez on the left as an Advanced Playmaker. Up front, Rodriguez had Bennett as an AdF and Sterling had Girolamo as a Poacher. But on the midfield I had Fernando as a BWM and Moutinho as another AdP. Wow mate! Bloody amazing guide. Very very in depth! Amazing guide,I am going to plug this, It deserves it. Amazing work mate. As for Gotze and Iniesta their average ratings were 7.71 and 7.79 respectively. Ismailov and Rodriguez 8.25 and 8.24 respectively. 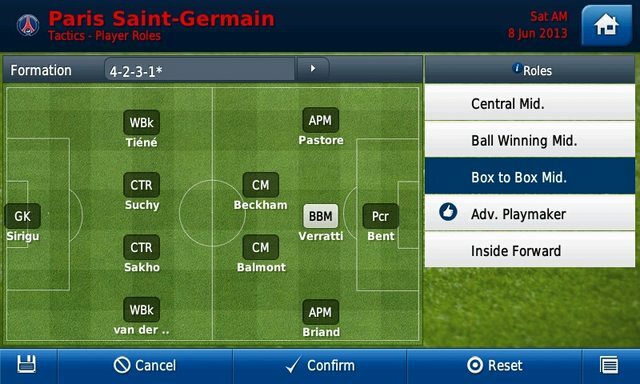 The formation I tested was class btw. Id say 1kc worthy. Messi got 112 goals. Bloody fantastic stuff, loved every second of the read . Haven't read something this in depth and statistic based in a long time and I really hope you use this as a base to jump into this niche market on Vibe and really make a name for yourself. One thing about the Gotze and Iniesta results is most AM's would take set pieces increasing assists etc..... But Xavi took them all when I was Barcelona.